Canada’s financial regulator is growing worried that Canadian banks are following their American counterparts into the “subprime” mortgage market that blew up the financial system in 2008. According to documents obtained by Bloomberg under access to information laws, the Office of the Superintendent of Financial Institutions (OSFI) is concerned Canadian banks are becoming less strict in their issuance of mortgages, handing out house loans to people who can’t prove their income and to recent immigrants. These loans “have some similarities to non-prime loans in the U.S. retail lending market,” the OSFI reportedly wrote. However, the situation in Canada is not as out of hand as it had become in the U.S. prior to the housing market collapse. At the peak of the U.S. housing bubble, in 2006, about one-third of all mortgages issued in the U.S. were in the “subprime” category; by comparison, only about five per cent of Canadian mortgages go to recent immigrants and people with undocumented incomes. 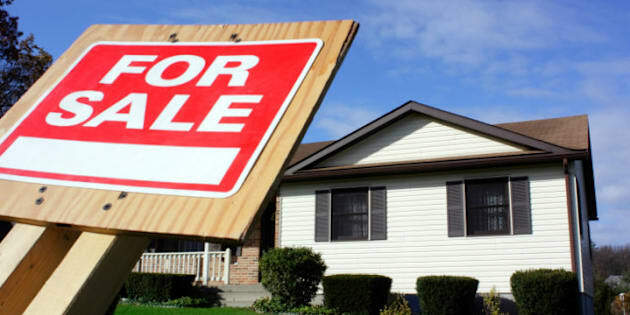 “It just speaks to the general easing in lending standards, which has contributed to a booming housing market,” economist David Madani of Capital Economics told Bloomberg. OSFI’s concerns mirror those of many other market observers, who say Canada’s real estate market is in for a downturn. Capital Economics predicts a 25-per-cent correction for housing, though others suggest the market could be in for a softer landing than that. Sherry Cooper, chief economist at BMO, says near record-low interest rates will keep the housing market from bursting. “In our view, the [Canadian] national housing market is more like a balloon than a bubble. While bubbles always burst, a balloon often deflates slowly in the absence of a ‘pin,’ ” Cooper wrote in a report Monday. The ratio of household debt to income exceeded 150 per cent in Canada last year, placing Canadians among the most personally indebted people in the developed world, and just short of the 160 per cent the U.S. hit before the housing market collapsed. At the same time, net household worth is declining, and real wages aren’t keeping up with the pace of inflation, meaning Canadians in general are growing slightly poorer. Taken together with rising house prices, this paints a picture of a mortgage market that is increasingly under strain. That fact was enough to raise alarm bells at the IMF, which warned late last year that Canada could face a correction if house prices and debt levels did not come under control. A 15-per-cent house price correction could shave 1.5 per cent off consumer spending, the IMF said. But it may not be just the “subprime” portion of Canada’s housing market that could suffer through a correction. In a report released last week, CIBC argued that the people least likely to be able to afford new mortgages are the ones taking on new debt. Baby boomers nearing retirement and those already in debt are taking an ever-larger share of the household debt burden, and those above the 160-per-cent debt level account for a third of all outstanding mortgage debt. Banks continue to compete aggressively for mortgage holders. BMO earlier this month dropped its rate for a five-year fixed mortgage to 2.99 per cent, an all-time record low, spurring other financial institutions to follow suit. For some analysts, the problems in Canada’s housing market are already too entrenched to avoid a market correction. “The problem is sort of baked in now, so I’m not sure there’s a way to prevent a weakening of the housing market,” Capital Economics’ Madani told Bloomberg.